Since its establishment in 1991, the SME Foundation has substantially benefited from the support of John T. Boyd, and it is in his honor that the John T. Boyd Challenge was established by the Foundation's Board of Trustees. This distinction was created to recognize donors (individuals, companies, SME Divisions, or any other entity) who have contributed to the Foundation (in a single sum or cumulatively) gifts of $10,000 or more individually, or $50,000 from an organization. The following people or companies have met the John T. Boyd Challenge and their names are prominently displayed on a plaque in SME Headquarters. 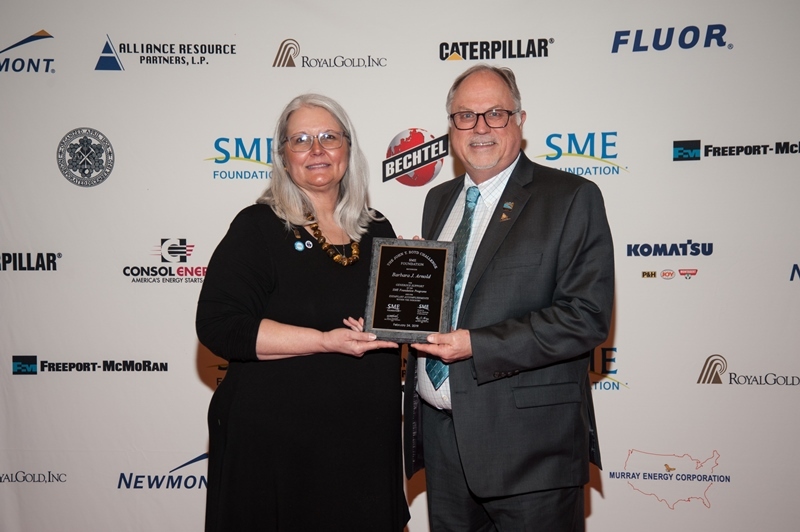 Each year new contributors are recognized in Mining Engineering and honored at a special ceremony at the SME Annual Meeting. We sincerely thank them for selecting the SME Foundation as their cause to champion. Cloud Peak Energy Fluor Corp.
Cliffs Natural Resources Joy Global Inc.
Gold Resource Corporation Martin Marietta Inc.
Scott McIntosh Family Fund Nelson Severinghaus, Jr.
Wayne L. Dowdey Genwal Resources Inc.